When it comes to nutrition, many people are still newbies. Newbies need to just make healthier food selections. For example, if a newbie starts having oatmeal instead of the traditional boxed breakfast cereal that is a big improvement. However, if have been following and applying the tips in this 52 Weeks to Better Nutrition and a New You series, then you are well past the beginner phase. As you continue to progress your nutrition, you can take things to the next level by not just avoiding unhealthy foods, but by choosing healthier versions of healthy foods. Now, when it comes to this topic, many people hear the word "organic" and immediately put up a wall because they think they cannot afford it. Therefore, in addition to looking at healthier versions of foods, I'll also give you some low-budget tips to help you afford to eat better than you currently do. I'm not big on genetic experiments with the foods I eat. This is better for the environment, helps support local farms and can lead to less harm to the environment with less shipping time/distance. It also increases the change of fresher produce and reduces the chance of premature picking (better to have food ripen on the tree/vine than on a ship traveling half way across the world). As the seasons change, different fruits & vegetables come in and out of season. Eating seasonally helps you each fresh and local. It also naturally results in variety of foods and a broader range of nutrients. I believe the principle of organic is good and I try to eat organic when I can. However, while opinions are very strong on this topic, the research in this area is not as strong as you might think (i.e. at this point, it would be hard to conclusively "prove" the superiority of organic food just using peer-reviewed research). That being said, my personal philosophy is to not be apart of the experiment. I would rather (as I can) spend a little extra on organic foods now and find out later that it really did not matter as much then eat no organic foods now only to later find out that it made a huge negative impact on my health. A common concern with organics has to do with regulations. Sometimes you may be paying extra money for an organic-labeled product that is really not as organic as you might thing. Be sure to check your country for organic regulations (examples: USA Organic Regulations, Canada Organic Regulations). Those who eat more fruits and vegetables are healthier than those who do not. Organic does not automatically mean healthy. Grocery stores are filled with organic junk food (e.g. chips) that should still not be a staple in anyone's diet. The above guidelines are to help your health, not to place excessive restrictions on your food selections. Turning these guidelines into hard fast rules can become a source of stress and nutritional deficiencies. Seasonal eating: some foods are so good for you (e.g. blueberries) that you miss out just eating them at certain times of the year. If you are doing a lot of hard training, you need to provide your body with high-quality nutrients. Many people often have large calorie requirements. Both of these needs can be hard to make if you are obsessive about your nutrition. Check for prices and options in your area. 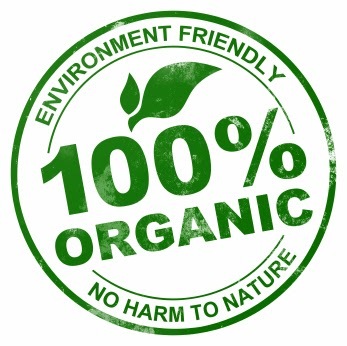 Many people automatically assume organic is out of their price range without even checking. There are many more options available these days than there used to be. Consider growing your own produce. While this may not work for everything, it can be a fun experience and give you some cost-effective tasty, fresh produce. If you do not have a yard, consider this for the future. Choose organic for the most problematic foods. These include: apples, celery, cherry tomatoes, cucumbers, grapes, hot peppers, nectarines, peaches, potatoes, strawberries, spinach, sweet bell peppers, kale, collard greens, zucinni, lettuce, blueberries, fatty meats, milk, coffee, wine and chocolate. On the other hand, the following non-organic foods are typically lower in pesticides: onions, pineapple, avocado, asparagus, frozen sweet peas, mango, papayas, eggplant, cantaloupe (domestic), kiwi, cabbage, watermelon, sweet potatoes, grapefruit and mushrooms. 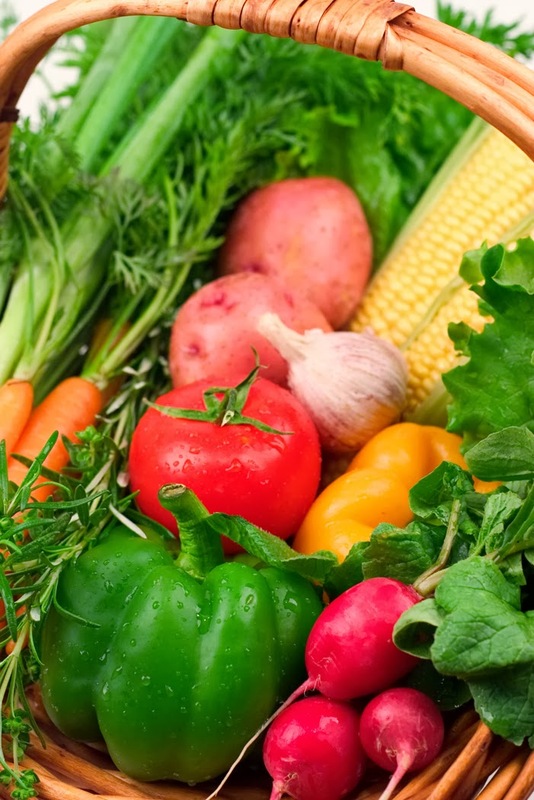 (Source: The Daily Green: The New Dirty Dozen: 12 Foods to Eat Organic). When it comes to your meats, organic, hormone-free is a good thing. This is especially true with fattier cuts of meat as the fat tends to hold toxins. On that note, if you use a little butter, this is a good one to get organic. What cows are supposed to eat! 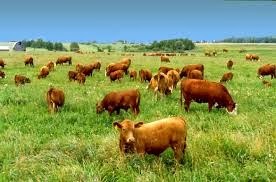 To bulk up cows quickly some farmers use corn and steroids. The corn helps to increase the marbling in the meat, but not without problems. Corn makes cows sick which results in needing to give them antibiotics. Also, this not only increases the fat content, but decreases healthy fats such as omega-3's and CLA (conjugated linoleic acid). Free range eggs seems like a good idea. This would make not only healthier eggs, but also happier chickens. The downside with this is that terms like "free range" can be loosely interpreted and not tightly regulated. As a result, you could pay more for this and not really have a healthier egg or chicken. The best option is to try to buy directly from a farm where you can see how the chickens are kept. Also, see how you feel eating different brands of eggs. Personally I feel better on the more natural eggs (however, that could be placebo). For meat, look to see if you know anyone who raises cattle or hunts. Costco sell organic, free-range, certified cage-free eggs. They are reasonably-priced, taste great and I personally feel great with them. Besides having high quality protein and a fresh change from standard beef and chicken meals, fish is great for the healthy omega 3 fats. However, you do not get anywhere near the same levels of those healthy omega 3's if you are eating farmed fish. Choose wild fish over farmed. Many stores will have sales from time to time. Keep track of these and while items such as wild salmon come on sale, stock up while you can. Look for cheaper versions of fish. For example, wild sockeye salmon is quite expensive (and absolutely delicious), but pink salmon is very reasonably priced. See if you can find someone who fishes or take up fishing as a hobby. Our neighbor loves fishing and has graciously given us some of his catch this fall. There is nothing like sitting down to a wild salmon dinner, getting those omega 3's and not having to pay for it! This week, when you are at the grocery store, check out the prices of these healthier versions of food and see if you can buy at least one thing from the above suggestions. Also, if money is tight, spend some time check out your purchase records and see if you can cut back somewhere else to improve your health, performance and body composition. In doing so, ask yourself: "what am I willing to give up for my health?" Remember that healthy food is a great investment in your health, performance and body composition and worth some reasonable sacrifices. If money is really tight right now, do the best you can and consider readdressing this area in the future when you have more cash flow.